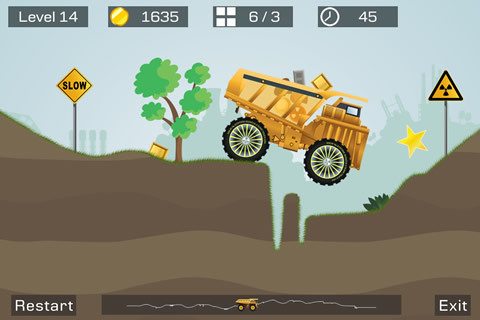 [Big Truck] is NOW LIVE on both APP STORE & GOOGLE PLAY! [Big Truck] is a nice game on iOS. Now it is available on Android. Download your copy now! It is[COLOR="Blue"] FREE[/COLOR]! This game is all about being careful. At the beginning of each round, a precise number of goods will be dropped into your container. 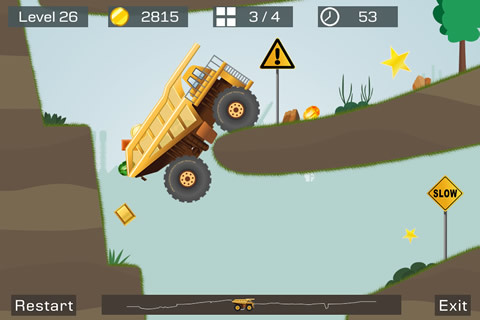 You have to touch the right of the screen for accelerating, the left of the screen for slowing down and tilt the device for balancing the truck. On the top side of the screen, you will find a timer and the goods count in your container and level required. 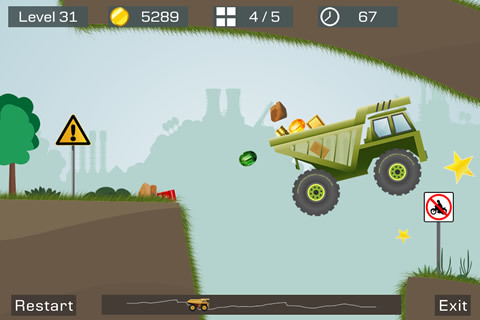 You have to find the perfect balance between reaching the end of the level rapidly and doing so without dropping too many goods. The only way you can lose is if you don’t transport enough goods or if you manage to turn the truck upside down. In this case, you will have to retry. 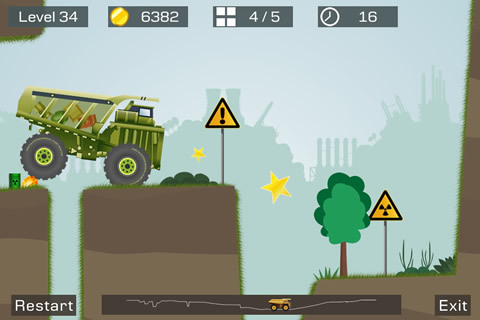 If you like [Big Truck], please don't forget to rate on Google play Store! Last edited by okandroid on Wed Oct 16, 2013 7:22 am, edited 1 time in total. Hi all, [Big Truck] v1.30 is out! It's a really amazing app, update it now for a new FREE chapter! Thanks for the positive feedback! Enjoy! 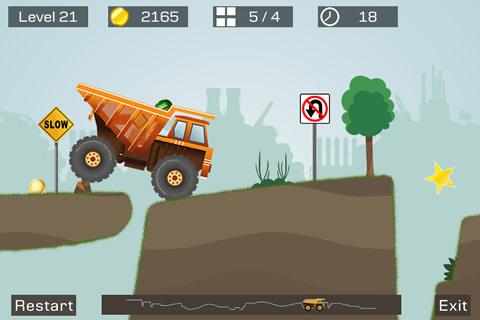 [Big Truck](Android) update v1.50 is out! 1. Support HD for high resolution devices. 3. Fix one display issue when game resumed. 4. UI modification in main menu. Happy gaming and hope you all enjoy! Thanks for the support! Big Truck is a easy, but very fun to perform activity. You just have to drive a truck across difficult landscape and create sure that your products get to the location securely. You will get a accurate variety of products you bring and a accurate variety of products that is needed. charansingh wrote: Big Truck is a easy, but very fun to perform activity. You just have to drive a truck across difficult landscape and create sure that your products get to the location securely. You will get a accurate variety of products you bring and a accurate variety of products that is needed. Thanks for the reply dude! Glad you like it!